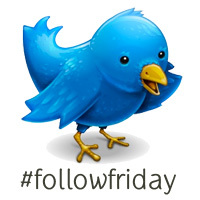 OK, so I’m not a huge fan of #FollowFriday these days, because most folks just lump a huge tweet full of people together and say #FF with no specific reason on why you should follow those people, or have auto-tweets set up that recommend the same Tweeps every Friday. However I do participate here and there and try to thank the folks who recommend me. That said, I decided to write a post today on a handful of the tweeps I follow that I truly enjoy following and why. And please, if you don’t see your name here, don’t assume I don’t enjoy following you… but with as many tweeps as I have, I simply can’t put everyone here! I love Matt because he is awesome. A founding member of #DorkBrigade and practically family from my Earn1KaDay forum days… a nicer, more helpful man you will never meet. He truly like to help others succeed, and runs a great membership site over at XtremeProfits for niche marketers. He’s also a great Tweeter that actually holds conversations with his tweeps rather than broadcasting 24/7 or spamming. Can’t beat that! So shoot him a tweet and ask him if you can be a member of the #DorkBrigade… he’ll know who sent ya! I met Abby after she so graciously came out of lurker status during a small little contest I held for my readers to coax them out of hiding in the comments. She runs a new but EXCELLENT blog over at AbbyKerrInk. The new blog is absolutely beautifully designed, and the content is absolutely stellar. And like me, she tends to make words up sometimes… I’m thinking it must be a writer thing? Plus, like all the rest she actually engages on Twitter and conversates! Win-win all around in my book, so be sure to pop over and say hello to her sometime, especially if you’re an indie biz… those are her specialty! Andy is a wonderful tweep to follow… not only is he kind and holds conversations, but he’s also the father of triplets! That’s THREE… count ‘em THREE children all EXACTLY the same age… yikes. I’m good, but not that good, so kudo’s to Andy for holding down the fort and still being an amazing person to know. He runs a communications and event management company called the Donovan Group that’s doing some great things… so drop by and see what he’s all about. Better yet, hit him up on Twitter… and don’t be shy he’s a member of the #DorkBrigade too! So there you have it… a handful of Tweeps I love to stalk (erm… follow I mean…) and why. And since it’s #FollowFriday… you should stalk (erm… follow!) them too! What’s the reigning theme here that makes all these tweeps great? Besides being awesome of course? See, I knew you were reading! Have a few stellar tweeps you think should be added to my list? Drop them in the comments below so you can tell the world all about their awesomeness. Next post: 3 Deadly Sins of Entrepreneurs- Are You Doomed to Failure?